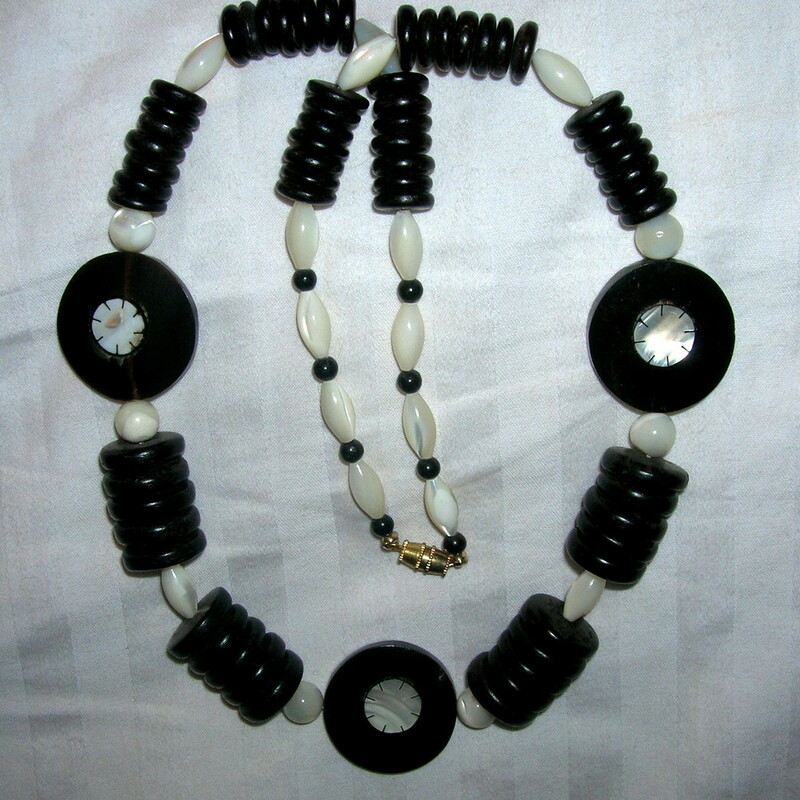 $112.50 This item is selling for $112.50 on eBay. 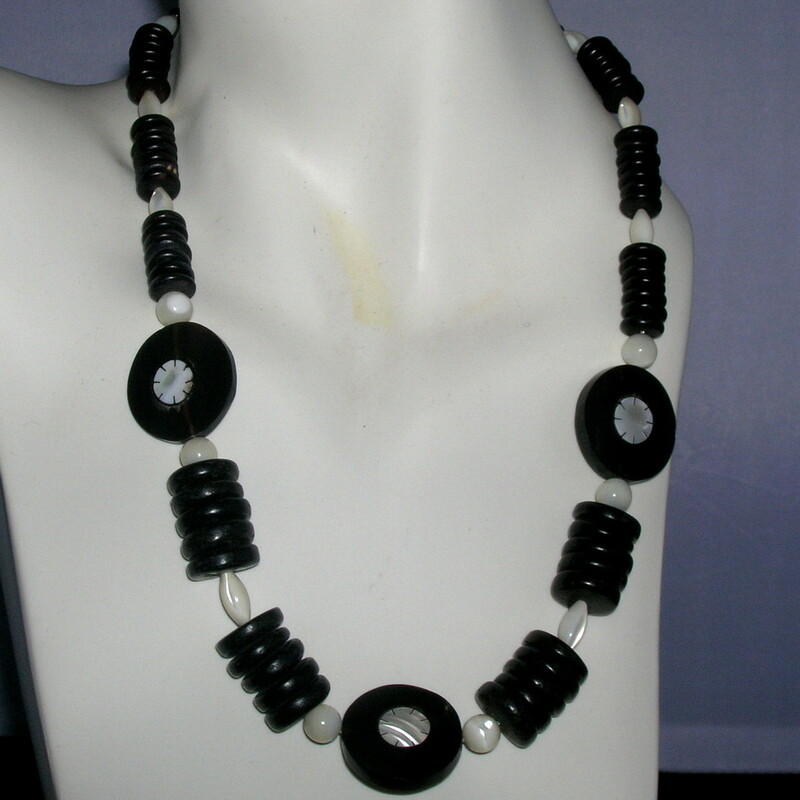 Vintage ethnic necklace with inlaid mother of pearl buffalo horn beads, mother of pearl beads and black coco beads. Measures 22 inches and looks fabulous on.